Plantar fasciitis is a reasonably common foot condition which leaves the sufferer in excruciating pain. This pain places more restriction on your freedom of movement that you might initially think. Today, we are going to look at how you can manage to work out while having plantar fasciitis pain. The plantar fascia is a long band-like connective tissue that runs under your foot from the metatarsal heads to the heel bone. It then connects to the Achilles tendon around your heel and it carries on up to the knee. The purpose of the plantar fascia is to act like a shock absorber whenever you walk. When the plantar fascia continuously gets strained from overuse, it can get inflamed. When it becomes damaged, little growths or nodules begin to form along its length, leading to a whole lot of pain and discomfort. The exact causes of Plantar Fasciitis are unclear but sufferers experience pain and swelling, inflammation and the sensation of walking on hot needles around the heel and middle of their foot (or feet). 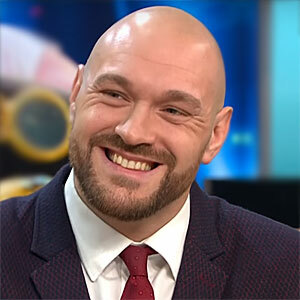 Usually, the pain is worse whenever the patient makes the first step when getting out of bed and eventually it gets better as the day goes on. The pain indicates that the Plantar Fascia is under strain and ‘taking the weight off’ is normally the first step in treatment. The braver sufferers may have corticosteroid injections into the foot to help fight against the pain. These injections are of limited success and will not take the problem away permanently. That is because, often times the underlying cause is due to the foot and arch structure of the affected foot. 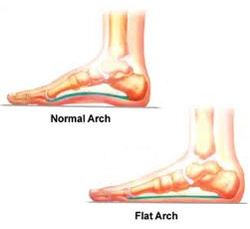 People with low arches (flat feet) and high arches are more prone to developing plantar fasciitis. People with tight Achilles tendons are also more likely to develop this painful condition. So… How do I work out when I have Plantar Fasciitis? Simply put, the best way to avoid pain in this area is to work other muscles groups and not put any extended pressure on your feet. That being said, Healthline describes some stretch and extension exercises which can be used as a harness for the pain. Tightness in the plantar fascia and the Achilles tendon is what causes the majority of the pain – so if you can do a few stretches, then try them out! Night splints can also be very beneficial for those patients that prefer to get their stretches at home while resting and sleeping. Any exercise that puts pressure on the lower portion of your body will be extremely uncomfortable. If, somehow, you do manage to go for your typical run or weight lifting session there is a high chance you will damage the injury further. According to this article by Runners Connect, staying off your feet is critical, but that’s what the upper body workout is for. This means that the weight bench is still an option, as is anything where you push or pull with your arms. Any chair workouts should be fine, so we sourced a list of them here, courtesy of Working Mother. You should still be able to do any exercises where you twist at the hip – but again, be careful of how you have placed your weight. Aggravation of this injury can take fully years to recover from. Although it is still possible to work out while suffering from Plantar Fasciitis, the best practice is to keep it light and keep it away from that area of the body entirely. Gentle stretches may be used to help ease the pain of the injury, but over-stretching will only aggravate the matter. As a final aside, Plantar Fasciitis can literally take years to go away… but it doesn’t have to. So if you have been diagnosed with it, take special care at the gym or you risk making matters worse. Visiting a podiatrist is also recommended in cases where the pain is not getting any better and you need an expert opinion.